I realize it's all subjective and music is up to the person who hears it and all that BS but I know everybody loves the Beatles, the Stones (who are my favorite of these three), and The Who but The Faces with Rod Stewart is the hellified chit! Just stumbled across these guys, digging it so far. Mumford & Sons new album is terrible. Broad-Shouldered Beasts is the only song that's even tolerable. The new MMJ album is pretty good. I like about half the songs, but some of the stuff is a little to unique for my taste. Any Banditos fanboys in here? Not a fanboy, they are pretty hit or miss to me. There are some songs that I really like a lot, and others that are just borderline bad. This is me too. Sometimes I can get into it, other times, I am over it. They're playing Boston and New Haven, CT in September. I may have to catch them. My dudes...what else do I need to be listening to? If you like a modern blues sounds, listen to Gary Clark's live 2014 album. 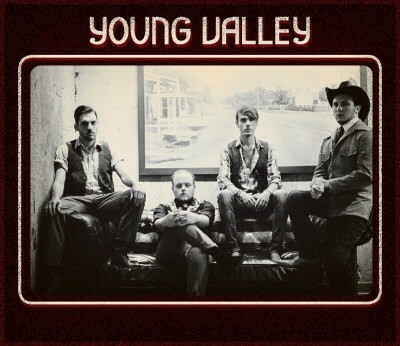 The band Young Valley Noch mentioned is really good. They're similar to Houndmouth. I've been listening to Langhorn Slim a lot recently as well and I'm a fan. I will check them out. Another buddy of mine said he's been listening to a lot of War On Drugs lately? Also...Bought tickets to see Houndmouth in Boston this September. You'll love them live bud. Good call. I've been listening to Langhorn Slim a lot recently as well and I'm a fan. New album out next week.